The logic behind the #ShoutYourAbortion is familiar to how many social movements move public opinion. People may find something initially anywhere from mildly upsetting to totally unacceptable, but if whatever it is is discussed and broadcast and routinized, eventually many-to-most people will no longer find the idea upsetting, may in fact fully embrace it. In many cases (the Civil Right Movement is the classic example) that gradual change is a glorious testimony to the capacity of our culture to turn away (however imperfectly) from behavior and attitudes that are a stain on our nation’s honor. By appealing to the best in us and to our common ideals, a Movement can change the culture. They are many problems with this, most of them obvious. Killing someone is as far from respecting someone else’s worth as the East is from the West. And, perhaps worst of all (from their perspective, although they don’t grasp it), they actually begin to believe that if they shout their abortion, this turns an act of violence into something beyond good and evil. Annihilating your unborn child just is, and no one can “judge it.” Why? Because I say so, that’s why. And if abortion is a “right”; if there is no there, there in a women’s womb (“Just a woman and her uterus,” in Laura Elkins’ words); and if private acts of violence have, by definition, no public consequences, then who cares how far along a baby is in her development? I thought of this as I read Elkins post at Secular Prolife: “How #ShoutYourAbortion Changed My Mind.” It is a long post but very much worth reading. “Then #ShoutYourAbortion happened,” she writes. The internet flooded over with stories, not of downtrodden women facing impossible circumstances, but of regular women, just like me, killing the growing embryos/fetuses inside them because they just didn’t feel like being pregnant. At first, I assumed these stories were made up—that they were actually pro-life radicals masquerading as post-abortive women, to make the pro-choice camp appear to be fueled by vacuous narcissism rather than high-minded ideals. Exactly! As I’ve read so many of these accounts, that is precisely my thought. Even a pro-life “plant” would not make up stories like these, acts of self-absorption and a lack of caring so complete they board on egomania. No one would believe them! Yet that’s what these stories are–“I don’t want to be pregnant!” –so I am going to do what I am going to do. And consider this. 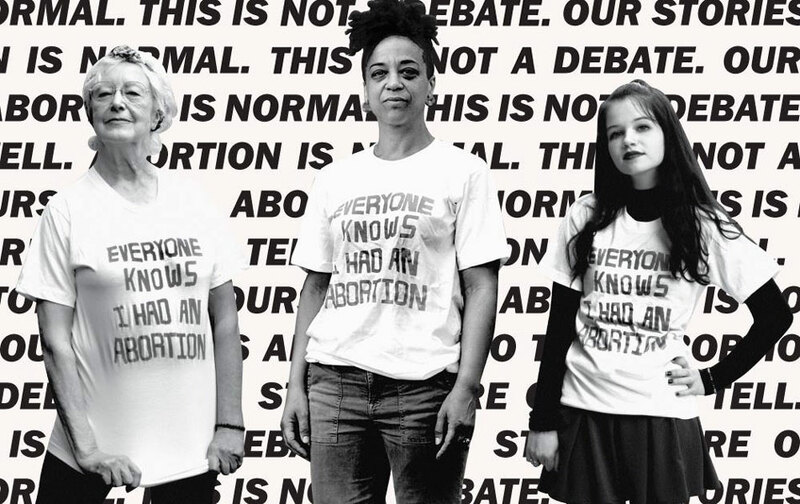 The narcissism so conspicuously on display in the #ShoutYourAbortion movement, compounded by the fruits of the logic of abortion unleashed by the election of so many pro-abortion feminists (virtually all of whom are Democrats), brings the anti-life forces to a curious point in history. There are now so many additional pro-abortion Democrats they are no longer afraid of showing their true colors–the viciously anti-human ethos that has always powered the abortion movement but was (for good reasons) kept under wraps. Now—now—they are showing us who they really are. And it makes the portrait of Dorian Gray look like a pastoral landscape. Was the Supreme Court’s “Whole Woman’s Health v. Hellerstedt” decision based on sound research?